Hello and welcome to Share Your Cup. If you like sharing what ever it is in life that makes you happy, (fills your cup) then this is the link party for you! One things for sure. . .By sharing what makes you happy it helps to fill my cup. Each week I receive so much enjoyment out of seeing what you link up. 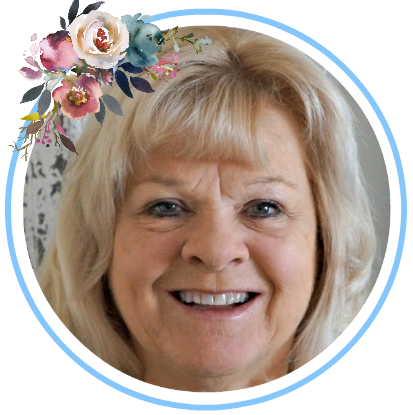 Before I show this weeks features I want to thank Kathy from A Delightsome Life for featuring my August Blooms post. Kathy has a fun link party . If you haven’t already linked up there you should hop over and do so. Also, I am saving Fall links that I love and will do an additional Fall feature next week. Look at this wonderful cross stitched tablecloth Debra from Homespun found at a thrift store for only $20. Love that aqua color! There were two different chair redos. They were both fabulous so I decided to feature both of them. What a fantastic transformation by Gina from Random Thoughts from an Incoherent Mind . This was her first time reupholstering. Didn’t she do a wonderful job? Amanda from Creating Domestic Bliss created these beauties for her dining room by using spray paint and outdoor fabric. Donna from Donna's Designs shared her gorgeous garden. You must go visit to see all of her beautiful blooms. I love Laura’s Garden bench. Perfect for her blog, Cottage and Broome. Aren’t her pink touches so cute? Thanks so much everyone for sharing! Please grab my button if you were featured. Now for a few rules and then let’s PAR-TEH! Thanks for hosting again this week Jann, I'm glad to be here! Jann thank you so much for the feature! I am grateful for your feedback as well as others about that tablecloth...knowing it was most likely hand-stitched makes me feel that I got an heirloom along with a good bargain. Hi Jann, Great features. Thank You for hosting. I love the chairs! They are fabulous! 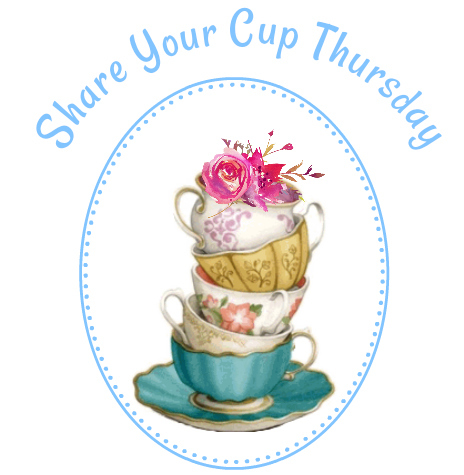 What a sweetheart you are to host "Share Your Cup Thursday"! 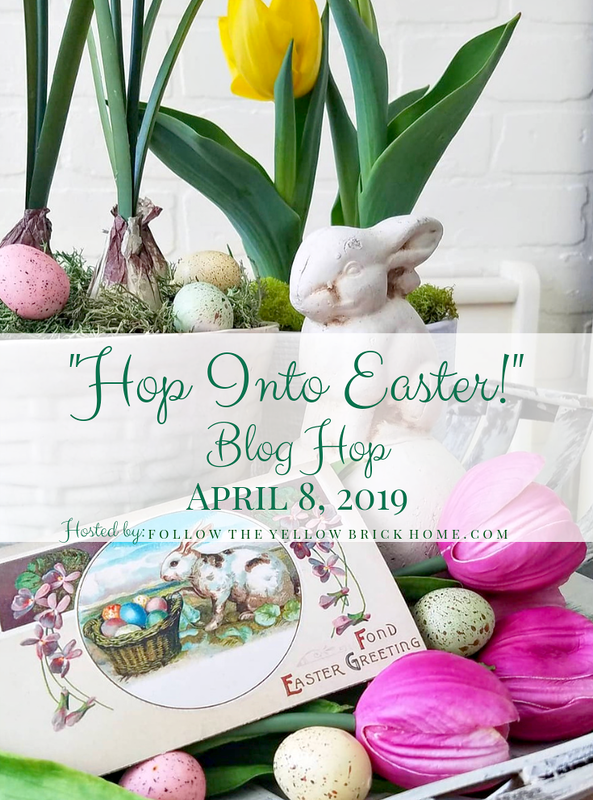 I love joining in each week...and having the pleasure of visiting all the lovely blogs. Thanks for hosting each week, Jann! Lovely features every time :) Have a fab week! Thanks for hosting Jann, always a pleasure to join in. Enjoyed looking at your features this week. Thanks for hosting Jann. Glad I could join in. 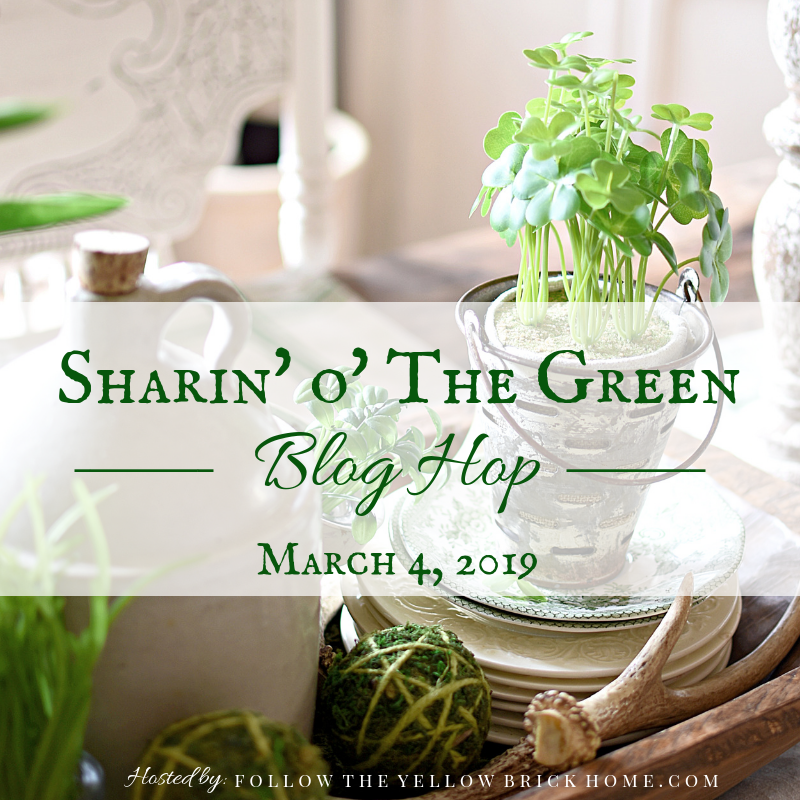 Thank you so much for featuring my chair, Jann, and thanks for hosting! Isn't Gina's chair chair fabulous and that bench, great features! Thank you for sharing! OMG! I can't believe I've been featured :-) This means so much to me. Congrats to Debra, Gina, Amanda, and Laura for being featured as well. All of them have beautiful projects. Thanks for hosting and sharing. So many creative things...wait, I think I say that every week! But it is true - I love seeing the ideas that people come up with - makes me want to go out and find some treasures! Hi Jann! thank you for hosting. Thanks for hostessing. I like your fractures for the week and the chair makeovers...so lovely. So many great links! Thank you for this great party. Beautiful feature Jann...thanks for hosting and have a great day! Very nice features! And always a fun party! Hopefully I'll be back for next week! Hugs! 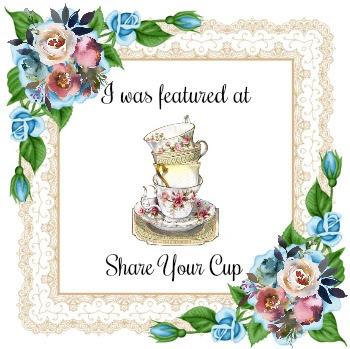 So great of you to share the chairs...love that contributor with a Y.
Lovely features and for all the inspirations,thanks for hosting the party am linking up for the first time today. Change of Attitude, Heart, & Taste. . .
For the Love of Decorating. . .
Fall Out in the Entry. . .
Fall touches in the bedroom. . .
Fall Out in the Kitchen. . .
Fall Out in the Family Room. . .
Fall Out Week. . .
Quilt Show Vignettes. . . Murder She Wrote. . .